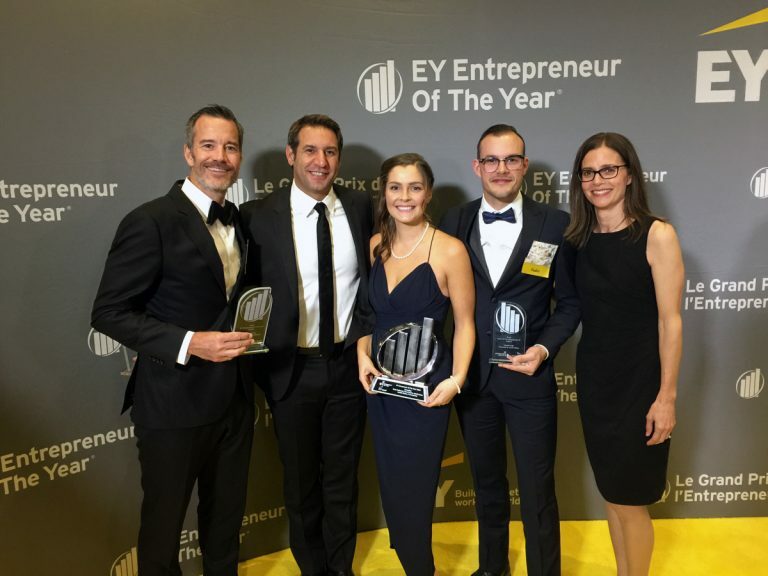 In July we found out that velofix was nominated for the Emerging Entrepreneur category at the EY Entrepreneur Of The Year 2018 Pacific awards program. The program is designed to recognize cutting-edge products and services. Our drive is the belief that our culture and service is changing the way consumers experience cycling. It is always an incredible experience when we can get acknowledgment from an outside source. As we arrived at the event, met the other impressive EY nominations, and heard their story we were reminded that our business allows us to work with entrepreneurs every day. velofix is a network of entrepreneurs. As the event went on we set out to enjoy the event and soak up as much of the energy and spirit that filled the room. Then take that back to share with our co-workers and partners. Then… with great honor… we won! We didn’t expect our “dream business” that was built out of Davide’s garage in 2012 to win. This award and the success of velofix wouldn’t be possible without our great Franchise Partners. We have a deep gratitude and thanks to the team at the head office, our Franchise Partners and the support that we had from our loved ones.